My husband told me this is your site and you put into words what you "feel". So I did that exactly. My passion is horses, has always been and will always be, I have never known anything else. This site has taken me some time to complete. It is written with the passion I feel, from the heart, and in total honesty. I owe a great deal of thanks to Nancy Castle, the designer of this website, for she has spent a great deal of time with me. This sites' backgrounds, borders, dividers etc. 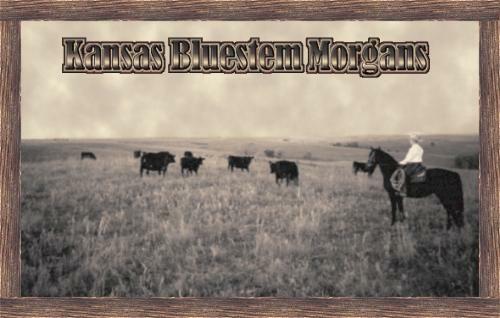 are all derived from our horses, our farm, and the Flinthills of Kansas. Nancy, thank you, I am pleased. Also I will close with one last photo. 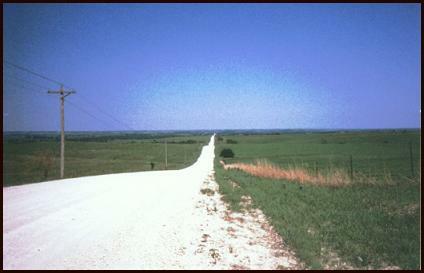 It is our "road home", one in which visitors are always welcome. and their training please refer to the Foal Pages.